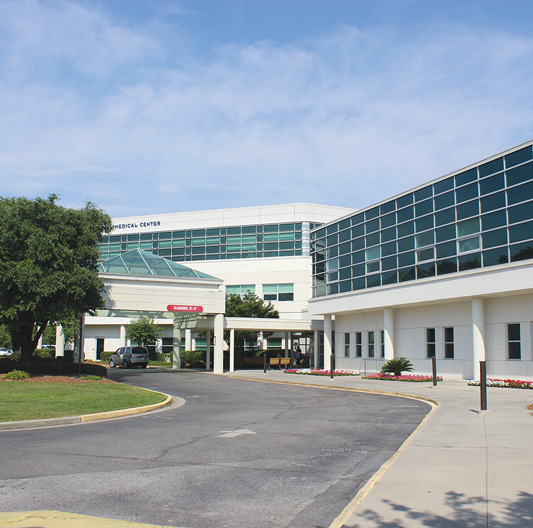 Healthcare needs are met by the 88-bed Coffee Regional Medical Center (CRMC) in Douglas, named to Georgia Trend Magazine's Top Hospitals' List. CRMC also earned a spot on the Georgia Hospital Association’s “Presidential Honor Roll” for adherence to core measures established by The Joint Commission. CRMC’s medical staff specialties include orthopedics, pediatrics, ENT, family practice care, ophthalmology, oncology, dermatology, neurology, general surgery, OB/GYN, internal medicine, GI, emergency medicine, podiatry, cardiology, urology, nephrology, pulmonology, anesthesiology, radiology and pathology. A network of quality local physicians treat residents’ routine healthcare issues, and a progressive health department constantly monitors the health of our community to quickly identify and address problems.